Scott Tollett has been named the new Senior Vice President/General Manager of Ritter Communications’ Enterprise and Wholesale Services division, company president Alan Morse announced. 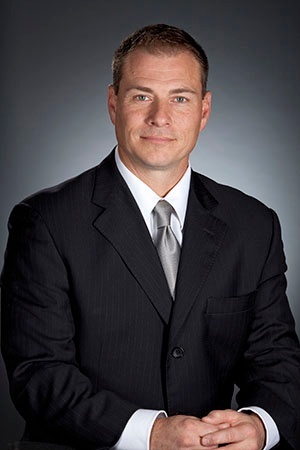 Tollett has previously held several leadership positions, including Chief of Staff, Head of Execution for Constellation Energy in Baltimore, MD; regional vice president/general manager for T-Mobile in Houston, TX; vice-president/general manager for Alltel in Charlotte, NC and Jackson, MS; and director of business sales for Alltel in New Orleans, LA. Scott is also an author and speaker on sales leadership and life strategies. In his new position, Scott will ensure Ritter accomplishes key strategic objectives, including expanding the company’s business services offerings into new markets, developing and launching a hosted and virtual services product suite, and continuing to grow the customer base through its expanding fiber optic network. Tollett, his wife Kim and family will be relocating to Jonesboro.